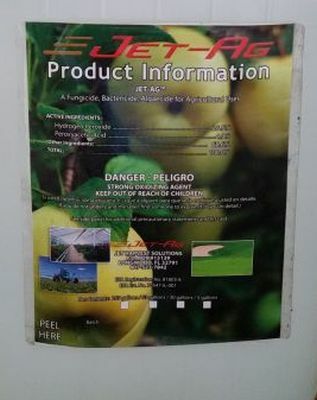 Jet Ag has broad spectrum activity against a wide range of plant pathogens. It is often used in rotation with other fungicides and bacteriacides throughthe growing season. It is also commonly used immediately before harvest to limit the spread of plant pathogens during the harvest process.